You may have heard that if you put on a happy face, you’ll actually start to feel better. But did you know that the physical patterns of our body not only reflect how we’re feeling inside but can actually cause those feelings? exercises that patients can use to help manage their symptoms. 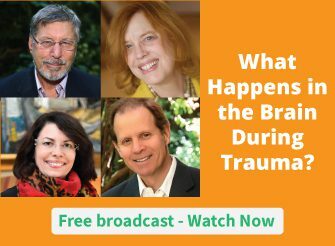 Pat Ogden, PhD, is the founder and director of the Sensorimotor Psychotherapy Institute, which provides training in somatic and body-based approaches to trauma treatment. Please check out the video below for one way to work with the body in the treatment of trauma. The effects of trauma run so deep that they often become ingrained in our patients’ body language. By using a body-oriented approach to treatment, we can recognize and use these body patterns to help people further understand and explore their trauma. To what extent do you use a body-oriented approach when choosing interventions for your patients? Please leave us a comment below. I am very interested in Trauma Therapy. The Wisdom of the Body is veey important to explore. Is there anyone else having the same RSS problems? Anyone who knows the answer will you kindly respond?